Looking for a fun, practical Amish Friendship Bread recipe? This Amish Friendship Bread Pizza Dough, shared with us by Kitchen Friend Jennifer Werth, is easy and perfect for Pizza Dough, Stromboli, braided spaghetti bread, meatball bubbles and more! Helpful Hint: A drafty or cool kitchen will prevent the dough from rising properly. If you’re working in a cold or drafty kitchen, place the bowl of dough on a low setting heating pad to help the dough rise. 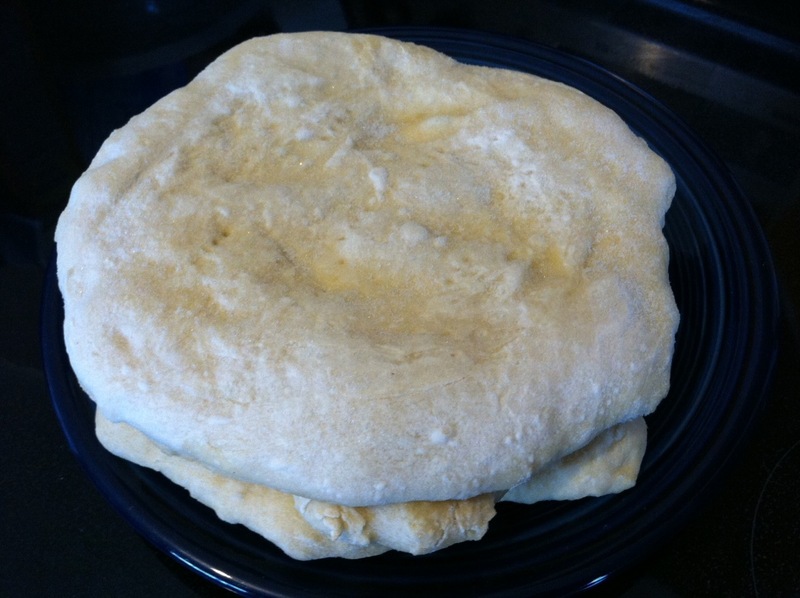 After the first baking this recipe for Amish Friendship Bread Pizza Dough you can freeze the crust. You can use this dough recipe to make several recipes and freeze them until you are ready to bake. It’s easy to make savory Amish Friendship Bread Pizza Dough, Stromboli, braided spaghetti bread, meatball bubbles and more! Add in Amish Friendship Bread Starter and oil. Mix well with your hands. Add water as needed to get a good dough consistency. It should be well-mixed, but not too sticky. Place your dough in a well-oiled bowl in a warm place. Then punch dough down and knead again a few times. Divide dough depending on your size of cookie sheet or use. 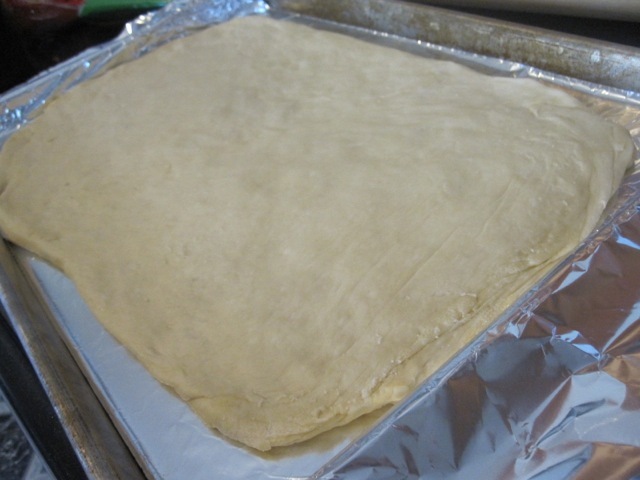 Flatten dough into crusts on a greased cookie sheet. 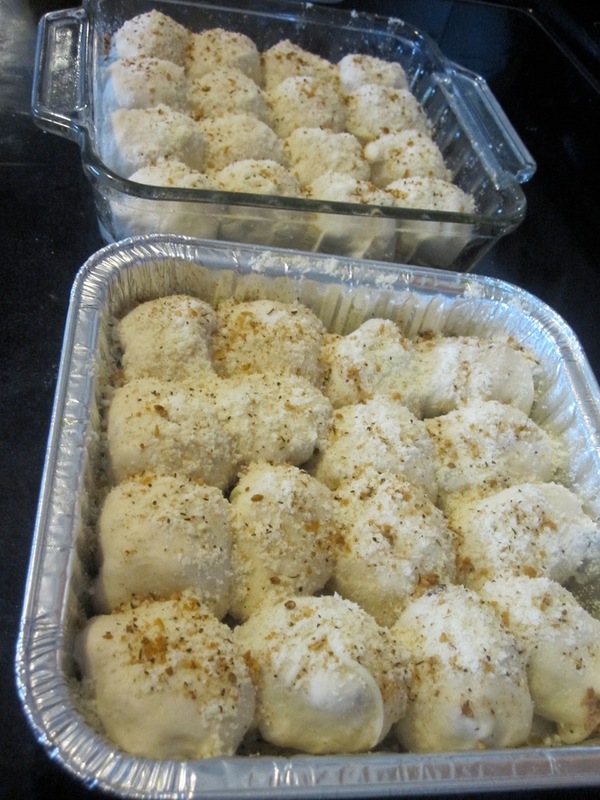 Bake dough in a 350° F (175° C) preheated oven for 5-8 minutes or until dough loses its sheen. Remove crust from oven, add pizza toppings. This pizza crust is wonderful!! I’m not sure how you would use it to make stromboli if you have to bake it before adding ingredients. Can you advise me? Also, is it possible to freeze the dough prior to baking? I will add that these directions are for making pizza, but you can use the raw dough to make just about anything else that would require pizza dough. thanks for the help. I’ve made stromboli before, always using premade dough. so I know you’re not supposed to bake it before filling it. good to know the time and heat for baking after filling. thanks again. my new, big question, can you freeze this dough before cooking it, and if so, should it be before or after it rises, so that I can make it ahead to have on hand for a stromboli night? reply to myself. 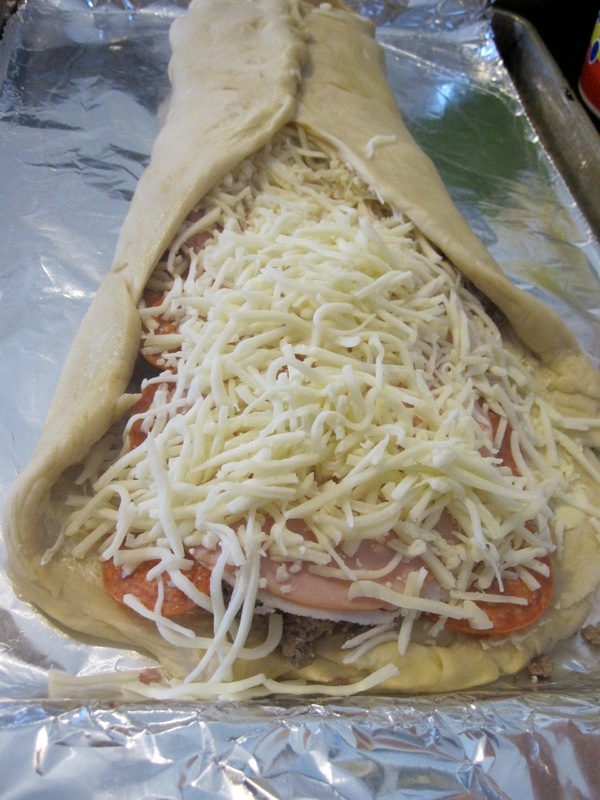 I plan to make the pizza dough, load it for stromboli, wrap and freeze. on “stromboli/pizza” day, I will take it out in the morning to defrost for 7-8 hours, and bake in time for supper. I will let you know how it turns out. How forgiving is the rising time? I presume all day or overnight means approximately 8 hours? is 9-10 still going to work? thanks in advance. Hey Robin! As far as I know you could probably freeze either before or after rising. If you are freezing a dough ball for pizza, I’d do it before the rise. If you are going to freeze it in crust form, I form the crust and pre-bake it for 5-10 minutes then freeze. That works awesome for me! I make all of my stromboli up ahead of time and then freeze it. Depending on your ingredients, I’ve even popped it into the oven fully frozen and it has come out beautifully! If I freeze the dough before rising, what do I need to do when I want to use the dough? Does it need to thaw and will it rise or just thaw and roll out to pizza dough, bake crust and continue? Thank you, Jennifer! I asked, in part b/c, if I set the dough to rise in the evening, it will likely be easily 10 hours before I get back to it, thanks to morning schedules with children. But letting it rise overnight, and getting to the rest of the dough in the morning, when I have more energy, sounds appealing. Now, I have 3 starters on the counter (I ended up with about 6.5 to 6.75–I had to toss the extra–from this first batch) ready for some attention. 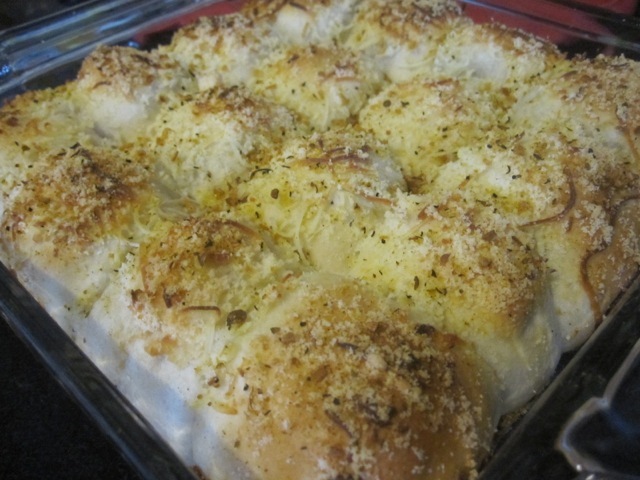 I’ve never tried pre-making stromboli before, and I really like the idea of having that on hand! I left my dough on the stove warmer all day and it didn’t budge. Not sure what I did wrong, but I couldn’t get this dough to rise or have any elasticity. Its possible the stove warmer could have been way too warm. I know my stove warmer gets warm enough to kill a culture pretty quickly. We love pizza, and this was the perfect dough for my hungry family! I want to try this recipe. I love that you have savory recipes for the starter. I never knew it could be used like this. I’d love to try this recipe for my family. We make pizza at home frequently and I’ve had a hard time getting good results from some of the recipes I’ve found online. I’m always looking for a new one to try and think this would be excellent! I love home made pizza! I made this for my mom and dad! I would love to make this for my hubby and our kids! We love homemade pizza! One change I make is to use olive oil instead of vegetable. I have to add an extra tablespoon, but I think the flavor is more pizza-y 🙂 I also use olive oil to oil the bowl it rises in and add a smidge to the top of the dough so that it stays moist on top. How many pizza crusts does this recipe make? Hi Pam! Two 10-12″ crusts, depending on how thin you roll it out.